There’s so much going on in our daily lives that it is so difficult to keep up with everything without missing a beat. This is the reason why personal and virtual assistants have become useful components for individuals and companies looking to stay up to date with their operations, appointments, meetings and other events. You could ruin important professional connections and damage family ties by skipping events and forgetting anniversaries. However, in this digital age, there is no excuse for such carelessness. With your iPhone, you can schedule upcoming events and save important meetings very easily on your calendar. In the same vein, you can make lists of the things you need to do at various intervals on your reminder. With Siri at your beck and call, you don’t have to worry about missing such vital appointments. Here are some ways to use reminders and calendar on your iPhone to help you manage your hectic life. These two apps are important tools that are used to manage your hectic schedule and make it easier to keep up with important events. Despite being slightly similar, they serve slightly different purposes. On one hand, reminders are used more frequently. You can set reminders for simple daily tasks like filling gas, picking up groceries, sending emails to clients or picking up a girlfriend at the airport all within a few hours. These tasks vary with each passing day meaning that you could end up making many lists within a few weeks. The short term nature of the tasks listed on the reminder is what makes it different from the calendar. Once you’re done with the task, the list can be deleted as it will not be useful the next day. The calendar is a more official tool that can be used for long and short term events. You can use it to record events that will come up in a few months or years and continue to make changes to the events as time goes on. It is used for more fixed events like meetings, appointments and anniversaries which often involve more than one person. As a unique personal assistant, it also records periodic events that happen at the same time every year or on a monthly basis. This includes birthdays, wedding anniversaries, board meetings and vacations. This means that records of these events cannot be deleted afterwards as it will still come up at a later date. 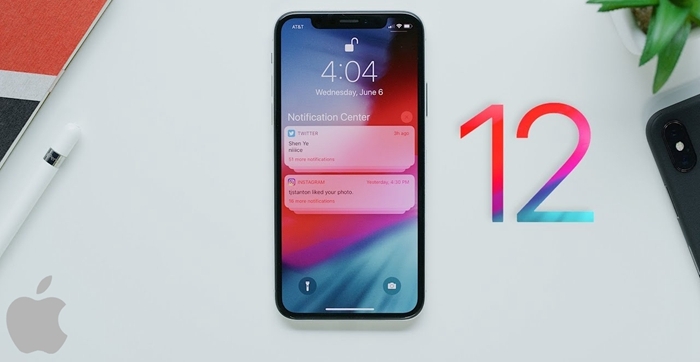 With the launch of the ios12, the latest from apple, you can maximise the use of your calendar and reminders on your iPhone. Siri is now able to constantly send you messages to let you know you’re running late. It also responds better to voice prompts with a broader range of voices available on it unlike previous versions. Whether you’re a busy business executive or an individual who has a lot of things to do, reminders can help you a great deal. It is a great task based application that is designed to keep you on your toes all day long. Latest versions have location based features that can alert you if you’re close to a place where you’re supposed to carry out a certain task. This will save you a lot of time and money. 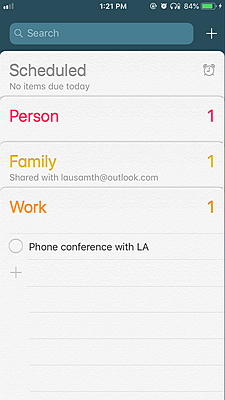 This can be done in the reminder app and Siri will arrange the tasks you have under each category. Reminders will pop up before scheduled time for each of the tasks on your list meaning you can carry on with your daily schedule without worrying too much about the things you have to do. 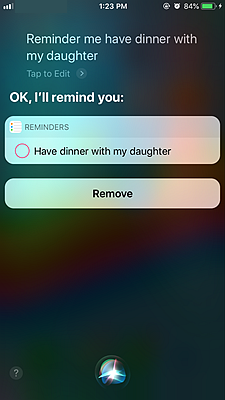 How to create reminder with Siri. Summon Siri by holding on to the home key on your iPhone or by using your voice recorded prompt. Once Siri responds, direct her to create the reminder you want giving her as many details as possible. These include time, location and priority. 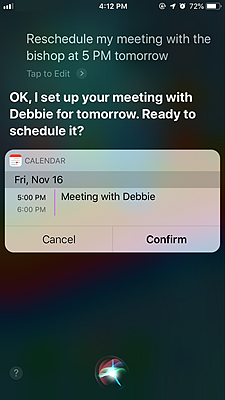 Siri will then proceed to create the reminder as directed and ask for confirmation before saving it on the reminder app on your iPhone. You can make changes to your reminder in case something comes up or you have to change your schedule. To do this, call on Siri as previously directed and give her instructions to change the reminder accordingly. Once you confirm the new instructions, Siri will save the changes and remind you of it when the time comes. The calendar is an app on your iPhone that doesn’t get the praise it deserves. It is such a useful tool that helps you track upcoming events and deadlines ensuring that you don’t miss out on important meetings, appointments and family anniversaries. It is the ultimate, reliable personal assistant. It shows you your schedule for a particular period at a glance allowing you to plan ahead and switch things around to suit your current realities. 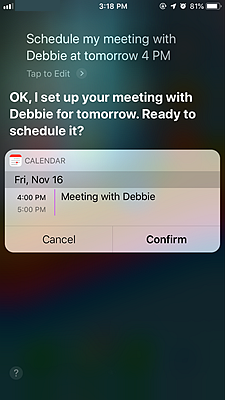 Apple’s very own virtual assistant Siri interacts with your calendar and takes all the additional features on board to help you create a timeline of upcoming events with all the information you require. Issue the command to fix an event at a particular time. Make changes to your event by following the same routine and confirming your command. Siri will save the event and update it regularly with available data from your linked accounts, email and maps. You can have a look at your monthly event schedule at a glance to see when and where you need to travel to. The ios12 also allows you to enjoy Siri’s virtual assistant services when your power is running low meaning that you can set reminders and schedule events at all times. This new innovation will improve the performance of your iPhone and optimize the use of your task management applications.